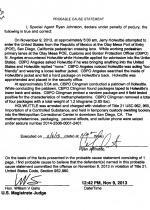 NOVEMBER 14--A California man who was profiled as “too friendly” while attempting to re-enter the country by foot from Mexico was arrested when a border agent searched him and discovered packages of methamphetamine taped to his body, according to court records. 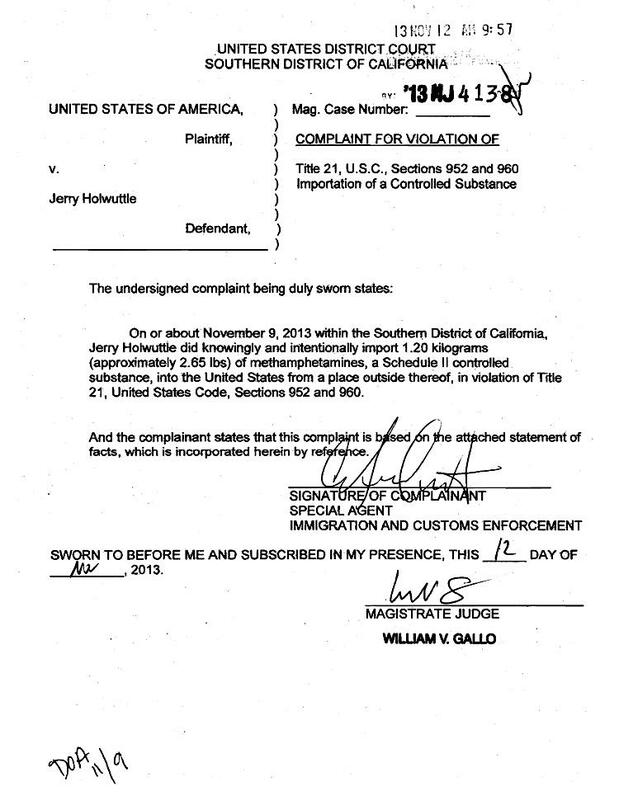 But when a Customs and Border Protection officer “noticed Holwuttle was acting ‘too friendly’ and wearing a loose leather jacket,” he was subjected to a search that located a “hard package” on his back. 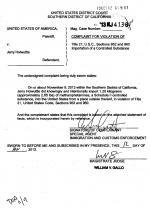 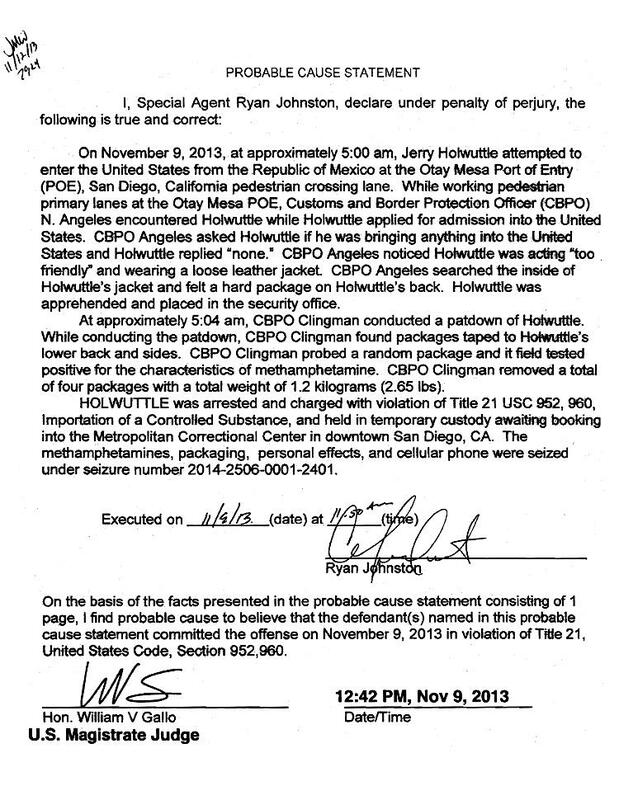 Holwuttle was arrested on a felony drug importation charge and booked into San Diego’s Metropolitan Correctional Center, where he remains in custody in advance of a detention hearing set for tomorrow in U.S. District Court.